This article is about the term referring to the state in some nations. For the television series, see The Crown (TV series). For other uses, see Crown. The Crown is the state in all its aspects within the jurisprudence of the Commonwealth realms and their sub-divisions (such as Crown dependencies, provinces, or states). Legally ill-defined, the term has different meanings depending on context. It is used to designate the monarch in either a personal capacity, as Head of the Commonwealth, or as the king or queen of his or her realms. It can also refer to the rule of law; however, in common parlance 'The Crown' refers to the functions of government and the civil service. A corporation sole, the Crown is the legal embodiment of executive, legislative, and judicial governance in the monarchy of each country. These monarchies are united by the personal union of their monarch, but they are independent states. The concept of the Crown developed first in England as a separation of the literal crown and property of the kingdom from the person and personal property of the monarch. It spread through English and later British colonisation and is now rooted in the legal lexicon of the United Kingdom, its Crown dependencies, and the other 15 independent realms. It is not to be confused with any physical crown, such as those of the British regalia. The term is also found in various expressions such as "Crown land", which some countries refer to as "public land" or "state land"; as well as in some offices, such as Minister of the Crown, Crown Attorney, and Crown Prosecutor. The concept of the Crown took form under the feudal system. Though not used this way in all countries that had this system, in England, all rights and privileges were ultimately bestowed by the ruler. Land, for instance, was granted by the Crown to lords in exchange for feudal services and they, in turn, granted the land to lesser lords. One exception to this was common socage—owners of land held as socage held it subject only to the Crown. When such lands become owner-less they are said to escheat; i.e., return to direct ownership of the Crown (Crown lands). Bona vacantia is the royal prerogative by which unowned property (primarily unclaimed inheritances) become the property of the Crown (except in Cornwall, where it becomes the property of the Duke of Cornwall or Lancashire where it becomes the property of the Duke of Lancaster). As such, the king or queen is the employer of all government officials and staff (including the viceroys, judges, members of the armed forces, police officers, and parliamentarians),[note 3] the guardian of foster children (Crown wards), as well as the owner of all state lands (Crown land), buildings and equipment (Crown held property), state owned companies (Crown corporations), and the copyright for government publications (Crown copyright). This is all in his or her position as sovereign, and not as an individual; all such property is held by the Crown in perpetuity and cannot be sold by the sovereign without the proper advice and consent of his or her relevant ministers. The Crown also represents the legal embodiment of executive, legislative, and judicial governance. While the Crown's legal personality is usually regarded as a corporation sole, it can, at least for some purposes, be described as a corporation aggregate headed by the monarch. Whilst the Crown frequently refers to the monarch, this reference is made in re the monarch (as opposed to the state more generally) this reference is to the monarch in their capacity as monarch, and does not refer to that individual in their totality of ownership interests and actions. The monarch can act in an official capacity (as the Crown) and in a private capacity. This duality of characterisation can be illustrated in several ways. In property ownership for example, although both are royal residences, Buckingham Palace is the property of the Crown via the Crown Estate (an organ of government) whilst Balmoral Castle is the property of Elizabeth II personally, and not of the Crown. The latter property can be freely alienated by the Queen, whereas any disposition of the former property would need to be done via instrument of government as an act of state. Similarly, the Queen's bank accounts at Coutts (a private entity, albeit whose parent entity, Royal Bank of Scotland, is coincidentally majority-owned by the state as a result of a bail-out of the bank during the financial crisis of 2007–2008) contain components of her private wealth only, whilst the resources of the monarch acting as the Crown are dispensed from HM Treasury and the Crown Estate to the Royal Household. A third example is in employment relationships; Elizabeth II can use her private resources to employ persons to run her private affairs (even if in practice it is likely that her private enterprises such as the Balmoral and Sandringham estates are structured as companies, which as entities with separate legal personality in Scots and English law would be the true hirer of an employee, which makes this unlikely in practice). However those who assist as employees of the monarch as the Crown (e.g. the staff at Buckingham Palace) do so on employment from the Royal Household, the official department charged with supporting the monarch. Those who are directly appointed to official positions by the monarch (commissions in the Army, judges of the courts of England and Wales, governors of Canadian provinces to take discrete examples) form a third category, where the Crown as monarch begins to blend into the Crown as state. Strictly speaking, government officials are for the service of the monarch acting officially, whilst she might hire private advocates to pursue actions in her private life. Thus the monarch's main lawyer as to English law is the government's lawyer, the Attorney General, but in her private capacity she instructs Farrer & Co, an independent law firm. Note that whilst there is a distinction between the monarch's two capacities, official and private, there is an exception to this rule, where there is unity of capacities; this being the style and form of address of the monarch. As described in MacCormick v Lord Advocate, amongst the royal prerogatives is the right and authority of the monarch to style themselves, and command others to so style them, with such combination of name and regnal number as they wish (thus Albert, Duke of York designated himself George VI on his accession to the throne). Accompanying this style is the form of address of the monarch. This varies across commonwealth realms, but in all is the monarch addressed as "Your Majesty". This royal prerogative, and the various Letters Patent which buttress it, derive entirely from the monarch acting or existing in an official capacity. However it is also transcribed over into the monarch's private sphere as well: Elizabeth II is never correctly referred to as Elizabeth Windsor in any capacity. The Crown, when referencing the monarch as opposed to the state, can only refer to the monarch alone. It does not refer to any other member of the Royal Family, though such royals typically represent the Crown in engagements, and hold (usually ceremonial) Crown positions. In this manner they are agents and servants of the Crown in similar manner to ministers, judges, soldiers, and civil servants. Historically, the Crown was considered to be indivisible. Two judgments—Ex parte Indian Association of Alberta (EWCA, 1982) and Ex parte Quark (House of Lords, 2005)—challenged that view. Today, the Crown is considered separate in every country, province, state, or territory, regardless of its degree of independence, that has the shared monarch as part of the local government, though limitations on the power of the monarch in right of each territory vary according to relevant laws, thus making the difference between full sovereignty, semi-sovereignty, dependency, etc. 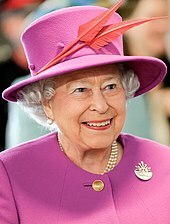 The Lords of Appeal wrote: "The Queen is as much the Queen of New South Wales and Mauritius and other territories acknowledging her as head of state as she is of England and Wales, Scotland, Northern Ireland or the United Kingdom." The Crown in each of the Commonwealth realms is a similar, but separate, legal concept. To distinguish the institution's role in one jurisdiction from its place in another, Commonwealth law employs the expression the Crown in right of [place]; for example, the Crown in right of the United Kingdom, the Crown in right of Canada, the Crown in right of the Commonwealth of Australia, etc. Because both Canada and Australia are federations, there are also crowns in right of each Canadian province and each Australian state. The Crown's powers are exercised either by the monarch personally or by his or her representative in each jurisdiction, on the advice of the appropriate local ministers, legislature, or judges, none of which may advise the Crown on any matter pertinent to another of the Crown's jurisdictions. In Jersey, statements by the Law Officers of the Crown define the Crown's operation in that jurisdiction as the Crown in right of Jersey, with all Crown land in the Bailiwick of Jersey belonging to the Crown in right of Jersey and not to the Crown Estate of the United Kingdom. The Succession to the Crown (Jersey) Law 2013 defined the Crown, for the purposes of implementing the Perth Agreement in Jersey law, as the Crown in right of the Bailiwick of Jersey. In Guernsey, legislation refers to the Crown in right of the Bailiwick, and the Law Officers of the Crown of Guernsey submitted that "[t]he Crown in this context ordinarily means the Crown in right of the république of the Bailiwick of Guernsey" and that this comprises "the collective governmental and civic institutions, established by and under the authority of the Monarch, for the governance of these Islands, including the States of Guernsey and legislatures in the other Islands, the Royal Court and other courts, the Lieutenant Governor, Parish authorities, and the Crown acting in and through the Privy Council". This constitutional concept is also worded as the Crown in right of the Bailiwick of Guernsey. Following the Lords' decision in Ex parte Quark, 2005, it is held that the Queen in exercising her authority over British Overseas Territories does not act on the advice of the government of the UK, but in her role as Queen of each territory, with the exception of fulfilling the UK's international responsibilities for its territories. The reserve powers of the Crown for each territory are no longer considered to be exercisable on the advice of the UK government. To comply with the court's decision, the territorial governors now act on the advice of each territory's executive and the UK government can no longer disallow legislation passed by territorial legislatures. In criminal proceedings, the state is the prosecuting party and is usually designated on the title or name of a case as "R v" – where R can stand for either Rex (if the current monarch is male) or Regina (if the monarch is female) against the defendant; for example, a criminal case against Smith might be referred to as R v Smith, and verbally read as "the Crown against Smith". On the indictment notice, it may state "The Queen - v - Defendant" as well as "R v Defendant". Often cases are brought by the Crown according to the complaint of a claimant. The titles of these case now follow the pattern of "R (on the application of X) v Y", notated as "R (X) v Y" for short. Thus R (Miller) v Secretary of State for Exiting the European Union is R (on the application of Miller and other) v Secretary of State for Exiting the European Union, where "Miller" is Gina Miller, a citizen. Until the end of the twentieth century, such case titles used the pattern R v Secretary of State for Exiting the European Union, ex parte Miller. In Australia, each state uses R in the title of criminal cases and The Queen (or The King) in criminal appeal cases (i.e., the case name at trial would be R v Smith; if appealed, the case name would be Smith v The Queen). Judges usually refer to the prosecuting party as simply "the prosecution" in the text of judgments (only rarely is The Crown used in the text, and never R). In civil cases where the Crown is a party, it is a customary to list the appropriate government Minister as the party instead. When a case is announced in court, the Clerk or Bailiff refers to the crown orally as "Our Sovereign Lady the Queen" (or "Our Sovereign Lord the King"). This practice of using the seat of sovereignty as the injured party is analogous with criminal cases in the United States, where the format is "the People" or "the State v. [defendant]" (e.g., People of the State of New York v. LaValle or Commonwealth of Pennsylvania v. Brady) under the doctrine of popular sovereignty. In Federal criminal cases, it is "United States v. [defendant]," as in United States v. Nixon. Qui tam lawsuits on behalf of the Crown were once common but have been unusual since the Common Informers Act 1951 ended the practice of allowing such suits by common informers. The term crown forces has been applied by militant Irish republicans to British-authorised security forces on the island of Ireland, including the British Armed Forces and armed police such as the Royal Ulster Constabulary, which are seen as enemy combatants or an occupation force. [note 4] Irish nationalist historical narrative may apply crown forces to earlier forces raised by the Dublin Castle administration at intervals since the Tudor conquest of Ireland to suppress various Irish uprisings. ^ See note 11 at Monarchy of Canada. ^ See note 12 at Monarchy of Canada. ^ See note 13 at Monarchy of Canada. ^ In Danny Morrison's words, "[t]he term 'security forces' suggests legitimacy, which is why republicans prefer terms like 'the Brits' or 'the Crown Forces', which undermines their authority." Sunkin and Payne; The Nature of the Crown - A Legal and Political Analysis; Oxford University Press, 1999. ^ Carroll, Alex (2003). Constitutional and Administrative Law. Pearson/Longman. p. 7. ISBN 978-0-582-47343-0. ^ Maitland, Frederic (1901). "The Crown as Corporation". Law Quarterly Review (17): 131–46. ^ The Royal Household. "The Queen and the Commonwealth > Queen and Canada > The Queen's role in Canada". Queen's Printer. Retrieved 15 May 2009. ^ a b Table Research Branch of the House of Commons (March 2008). "Compendium of Procedure". Ottawa: Queen's Printer for Canada: 1. Archived from the original (PDF) on 17 December 2009. Retrieved 14 October 2009. ^ Elizabeth II (21 May 2004). "Memorandum for Understanding of Cooperation on Addressing Climate Change" (PDF). Toronto: Queen's Printer for Canada: 1. Retrieved 16 May 2009. ^ Elizabeth II (2004). "A First Nations – Federal Crown Political Accord". 1. Ottawa: Assembly of First Nations: 3. Archived from the original (PDF) on 29 December 2009. Retrieved 29 September 2009. ^ Department of National Defence. "DCBA 414 011759Z Apr 09 MFSI Annual Rates for the Fiscal Year 2009/2010". Queen's Printer for Canada. Archived from the original on 28 August 2009. Retrieved 16 May 2009. ^ Canada (PDF) (Map). Queen's Printer for Canada. 2006. Retrieved 16 May 2009. ^ Lauterpacht, E.; Greenwood, C. J. (1992). International Law Reports. 87. Cambridge: Cambridge University Press. pp. 286, 713. ISBN 978-0-949009-99-9. ^ Royal Institute of International Affairs (1983). The British Year Book of International Law. 53. British Institute of International Affairs. Oxford: H. Frowde. pp. 253, 257, 258. ^ Bourne, C. B. (1986). Canadian Yearbook of International Law. 23. Vancouver: UBC Press. ISBN 978-0-7748-0259-8. ^ The Australian law journal. 52. North Ryde: Law Book Co. of Australasia Ltd. 1978. pp. 58, 203, 207. 3910867. ^ Ministry of Natural Resources (24 January 2006), Disposition of Public Land to Other Governments and Agencies (PDF), Toronto: Queen's Printer for Ontario, p. 2, at 3.2.B, retrieved 25 April 2010, When public land is required by the federal government or one of its departments, or any provincial ministry, the land itself is not transferred. What is transferred is the responsibility to manage the lands on behalf of Her Majesty the Queen (HMQ). This is accomplished by an Order-in-Council or a Minister's Order that transfers management of land either from HMQ in right of Ontario to HMQ in right of Canada as represented by a department or to HMQ in right of Ontario as represented by another ministry. The Crown does not transfer ownership to itself. ^ "Review of the Roles of the Crown Officers" (PDF). Retrieved 7 November 2011. ^ "WRITTEN QUESTION TO H.M. ATTORNEY GENERAL". Retrieved 7 November 2011. ^ "Succession to the Crown (Jersey) Law 2013". States of Jersey. Retrieved 24 November 2013. ^ "The Air Navigation (Isle of Man) Order 2007 (No. 1115)". Retrieved 7 November 2011. ^ "The Unregistered Design Rights (Bailiwick of Guernsey) Ordinance, 2005". Retrieved 7 November 2011. ^ "Review of the Roles of the Jersey Crown officers" (PDF). Retrieved 7 November 2011. ^ "It's a power thing…". Guernsey Press. 21 June 2010. Retrieved 7 November 2011. ^ Morrison, Danny (24–26 January 2004). "Saving 'Bobby Sands Street' > Words of Freedom". Irish History. Irlandinitiative Heidelberg. Retrieved 25 August 2015. ^ Hawes-Bilger, Cordula (2007). War Zone Language: Linguistic Aspects of the Conflict in Northern Ireland. Francke. p. 148. ISBN 9783772082009. ^ O'Neill, Conor (2004). "Terrorism, insurgency and the military response from South Armagh to Falluja". The RUSI Journal. 149 (5): 22–25. doi:10.1080/03071840408523120. ISSN 0307-1847. ^ Tomaney, John (2000). "End of the Empire State? New Labour and Devolution in the United Kingdom". International Journal of Urban and Regional Research. 24 (3): 675–688. doi:10.1111/1468-2427.00271. ISSN 0309-1317. ^ Ferriter, Diarmaid (1 November 2012). Ambiguous Republic: Ireland in the 1970s. Profile Books. p. 247. ISBN 9781847658562. Retrieved 21 August 2015. Because of the events of the War of Independence, the phrase 'Crown Forces' came to represent something abhorrent in the Republican narrative.